Given below is the list of Top Engineering Colleges in Rayalaseema 2019. Your search for the best Engineering colleges in Rayalseema region rightly ends here. Colleges listed here are located in the four districts of the state that is Kurnool, Chittoor, Kadapa and Anantapur. We understand the problems you encounter in making the right choice in terms of the right college. Understanding this, and to ensure that things are a lot easier for you we have listed the top Engineering Colleges in Rayalseema 2019. Find all the information you may need about these colleges right from admission to placement. 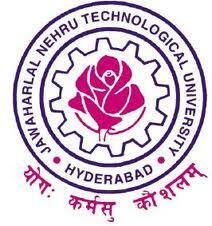 Jawaharlal Nehru Technological University in Hyderabad is a university that was founded by the Government of Andhra Pradesh in the year 1965. ICFAI (Institute of Certified Financial Analysts) Institute of Science & Technology was established in the year 1984 in order to bridge the gap for demand of highly qualified professionals in the field of technology and engineering.